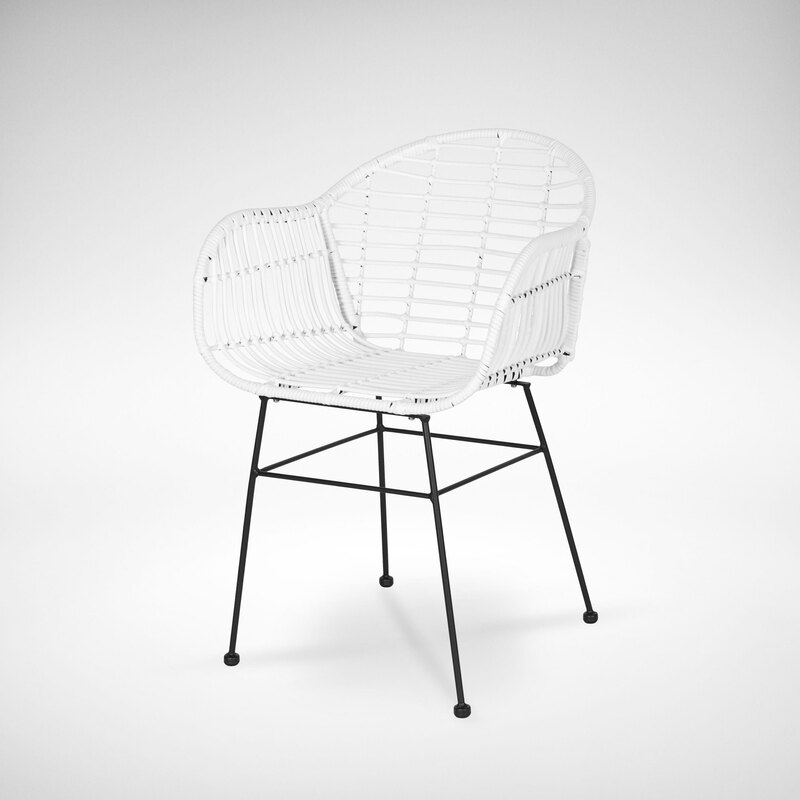 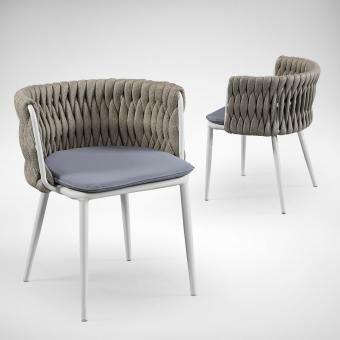 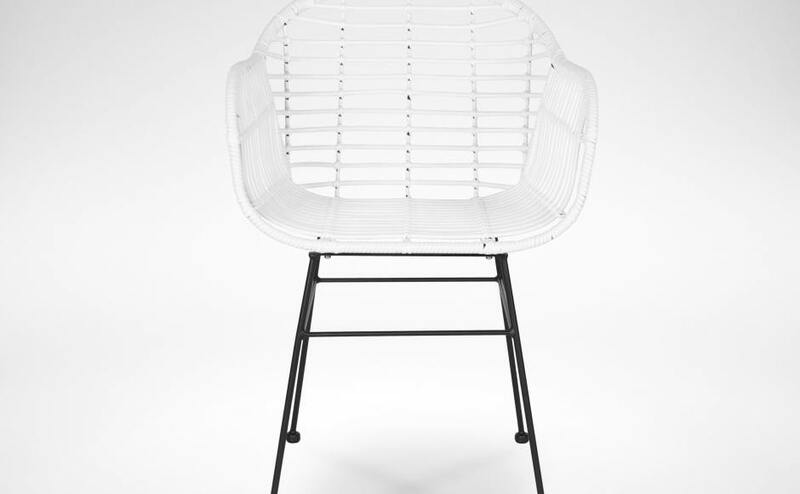 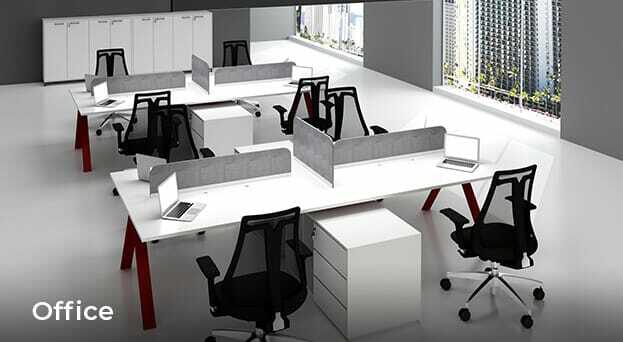 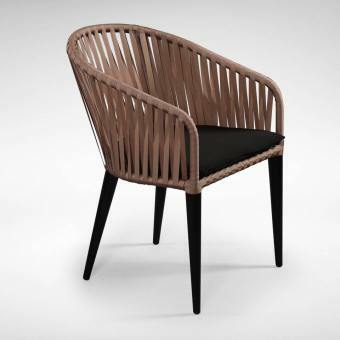 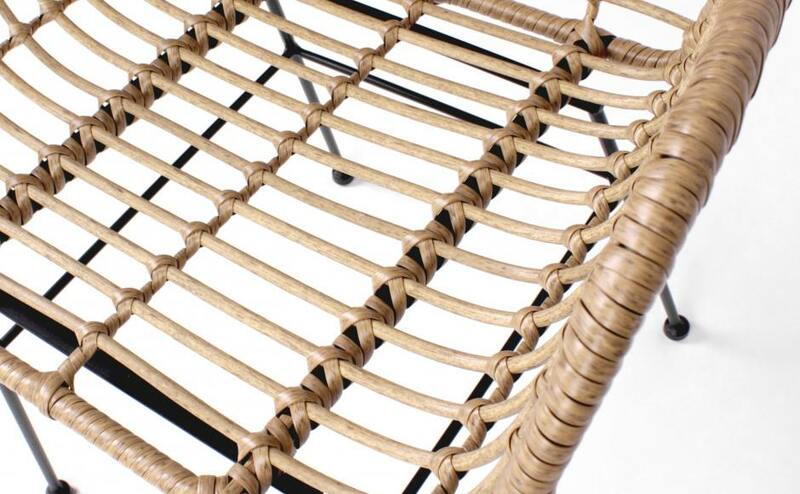 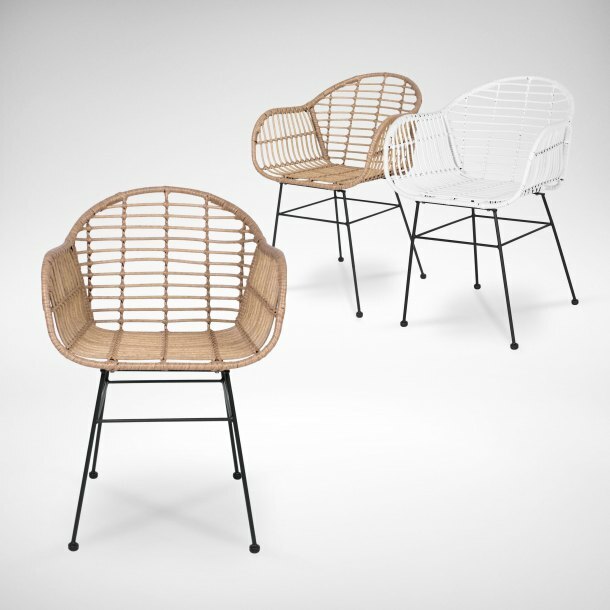 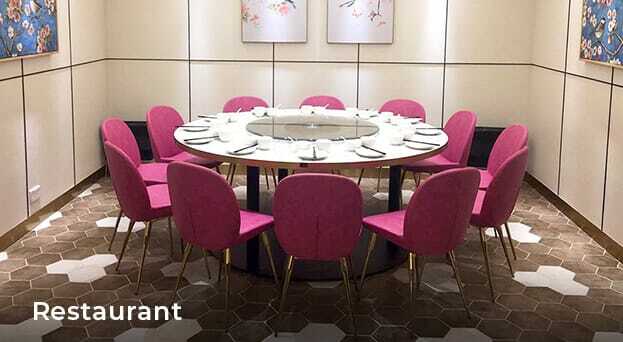 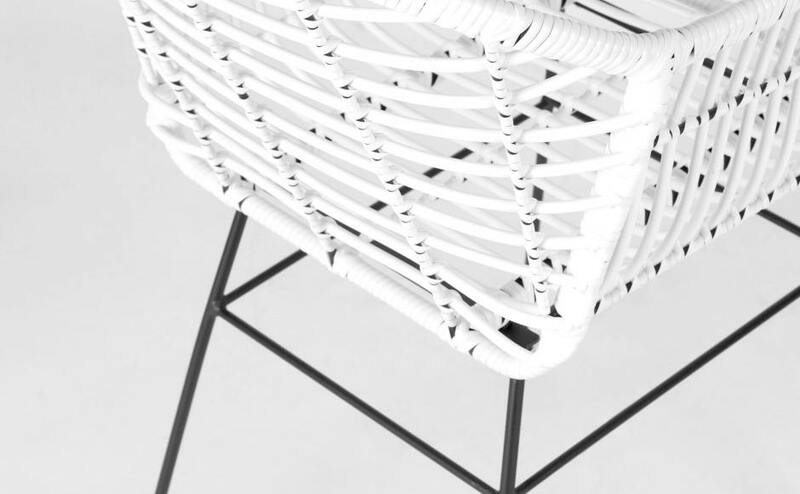 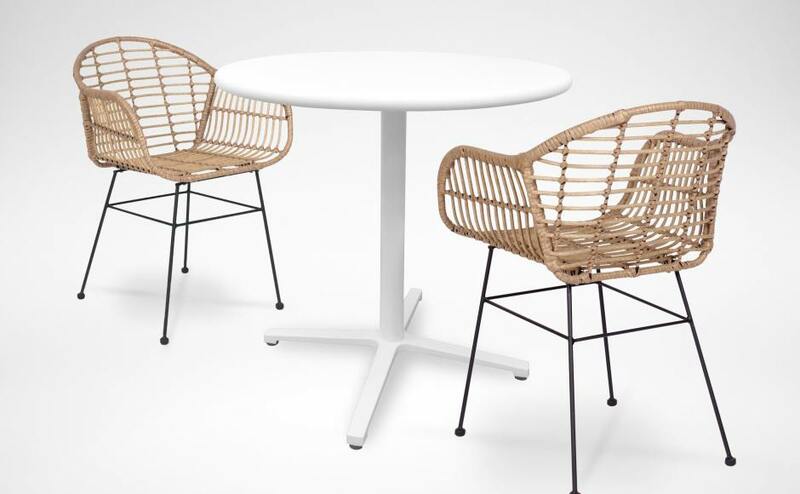 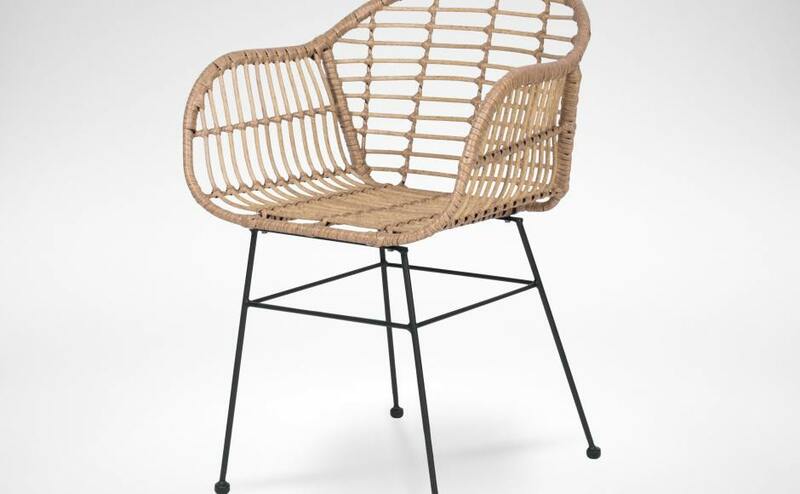 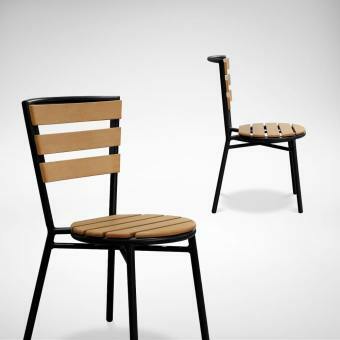 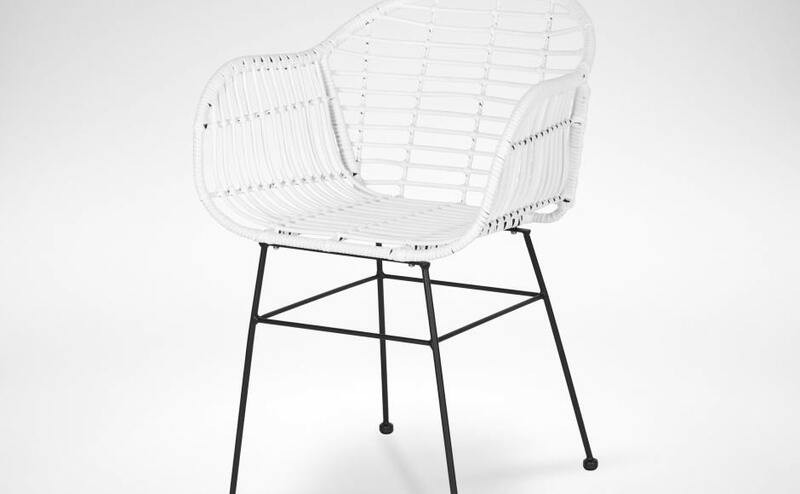 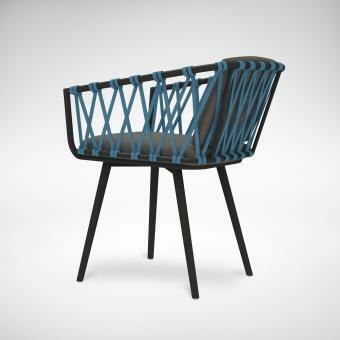 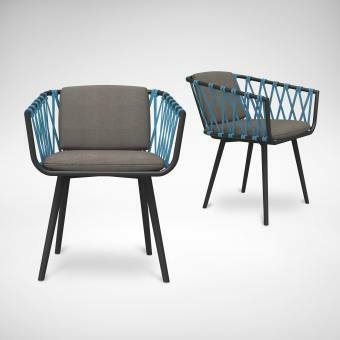 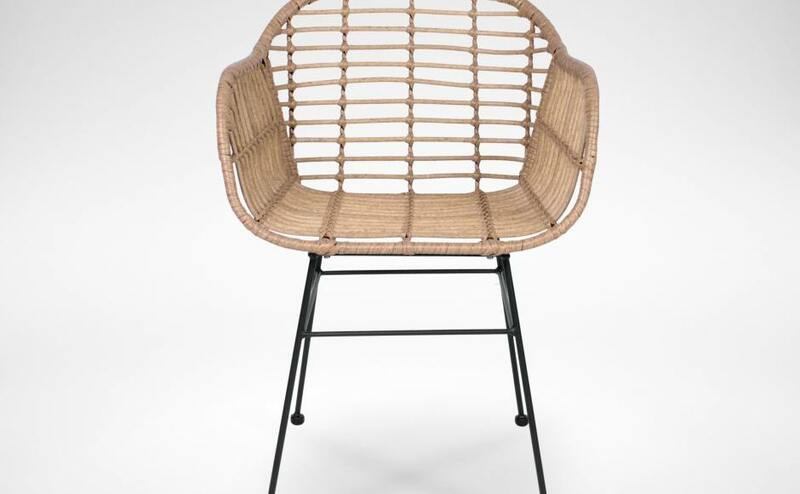 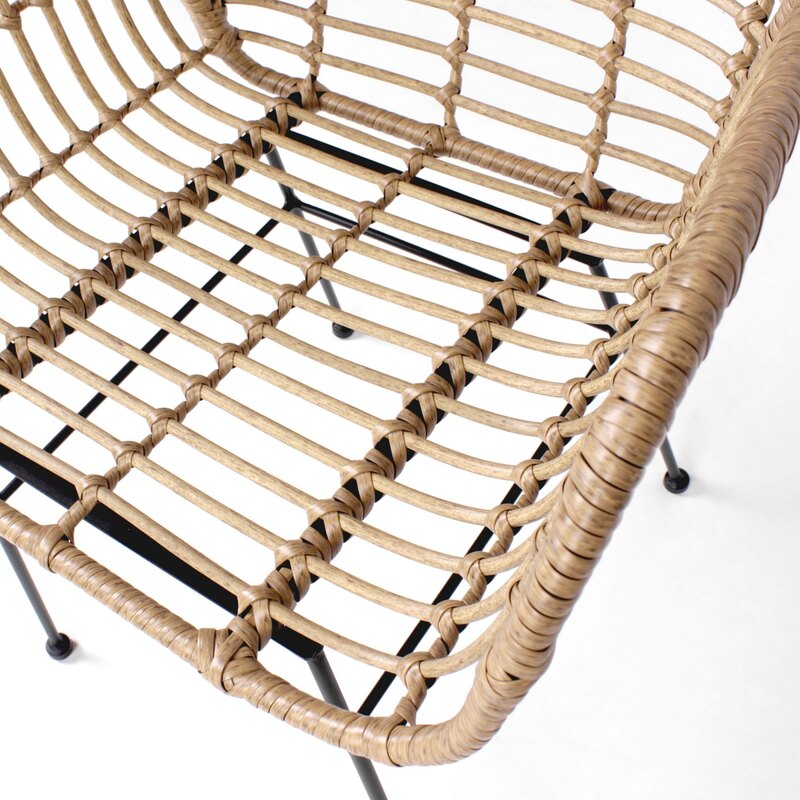 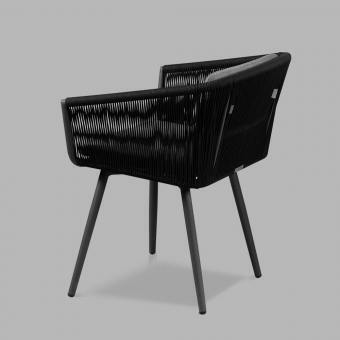 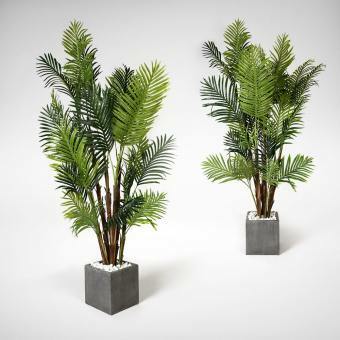 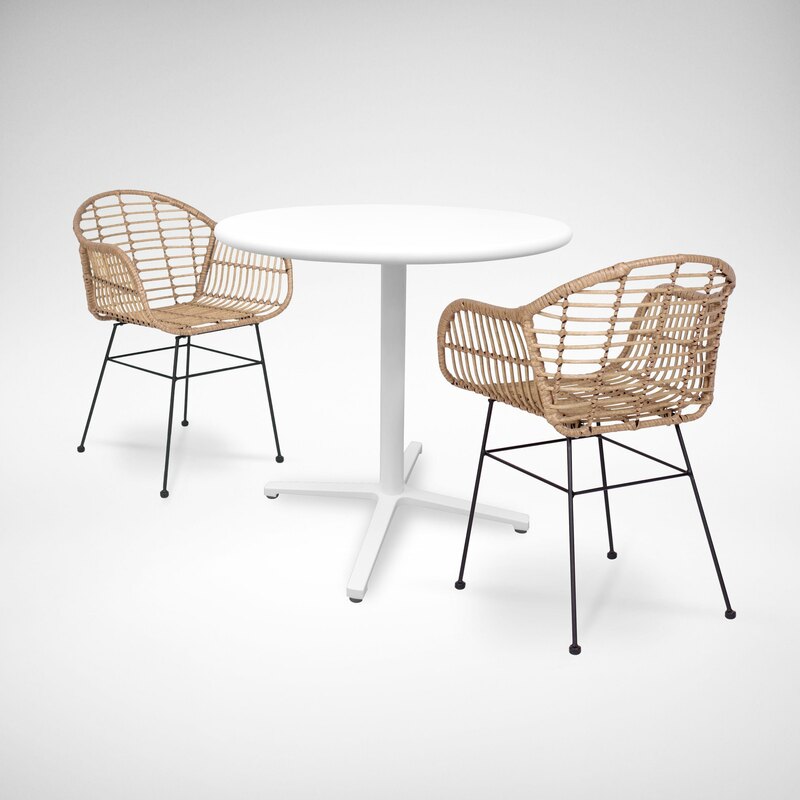 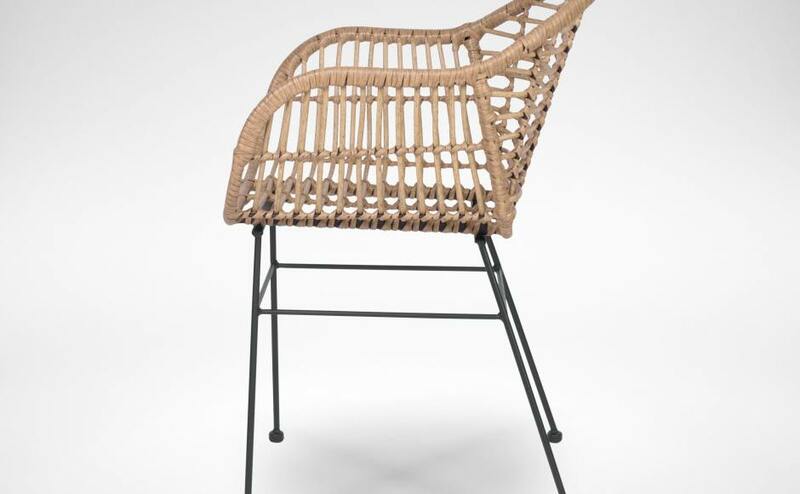 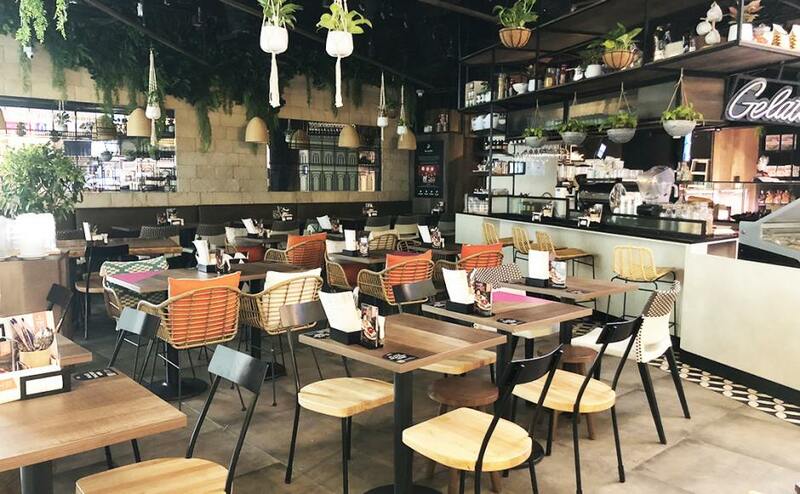 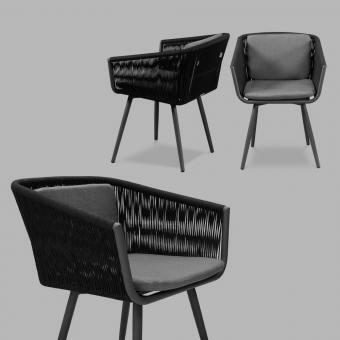 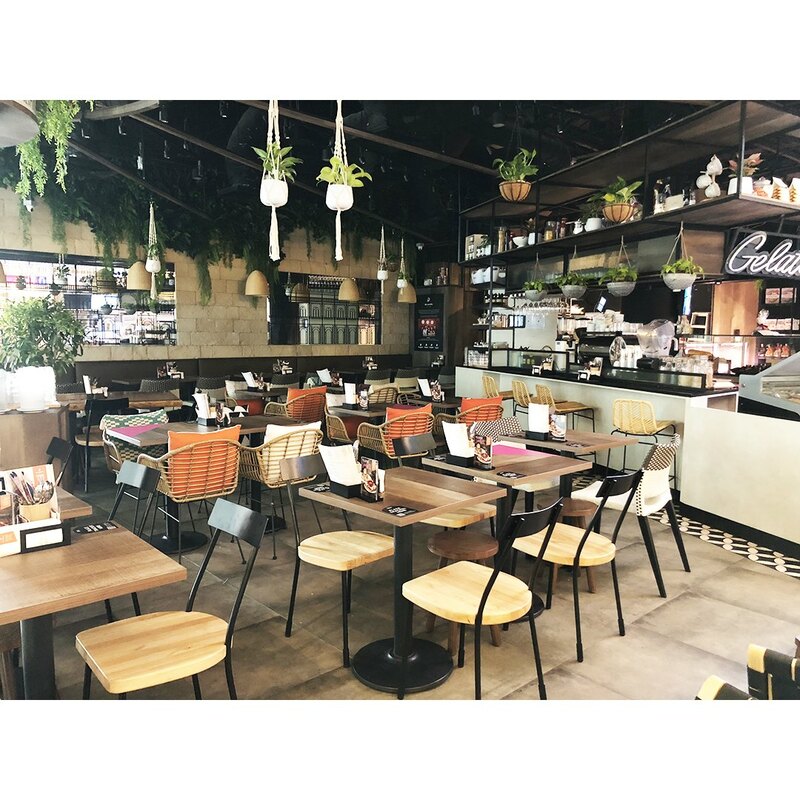 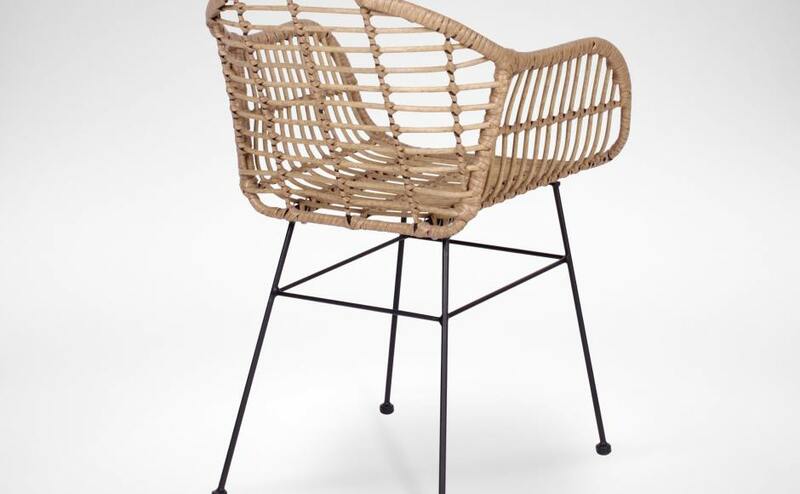 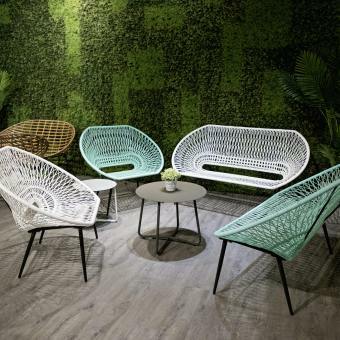 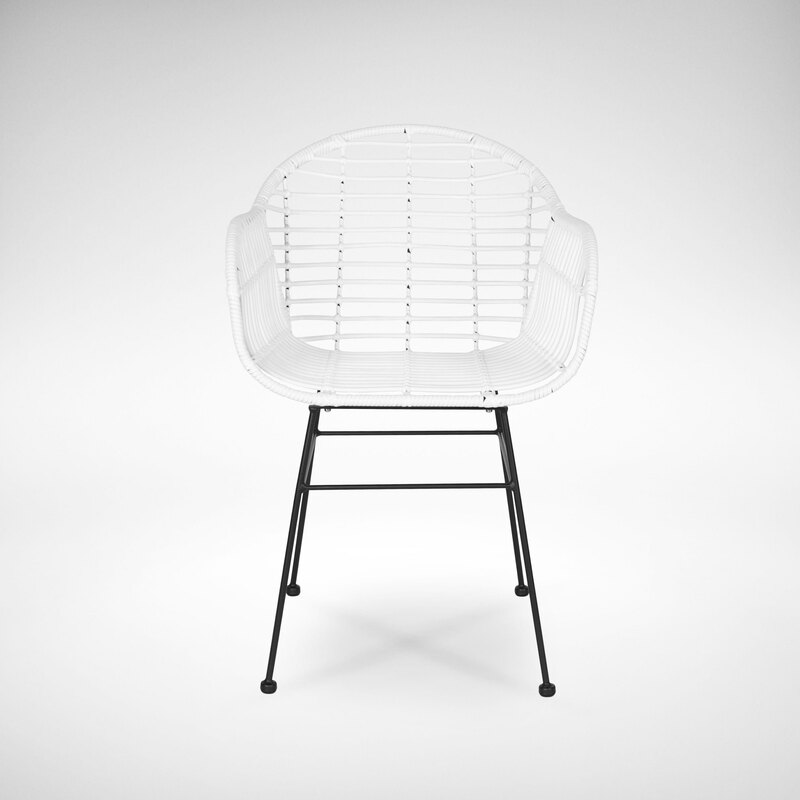 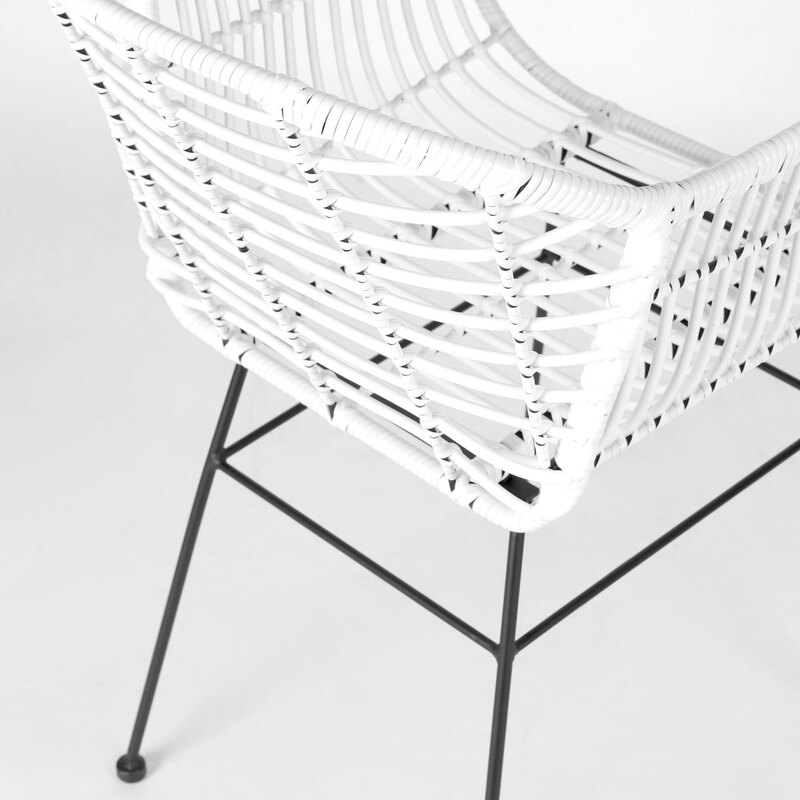 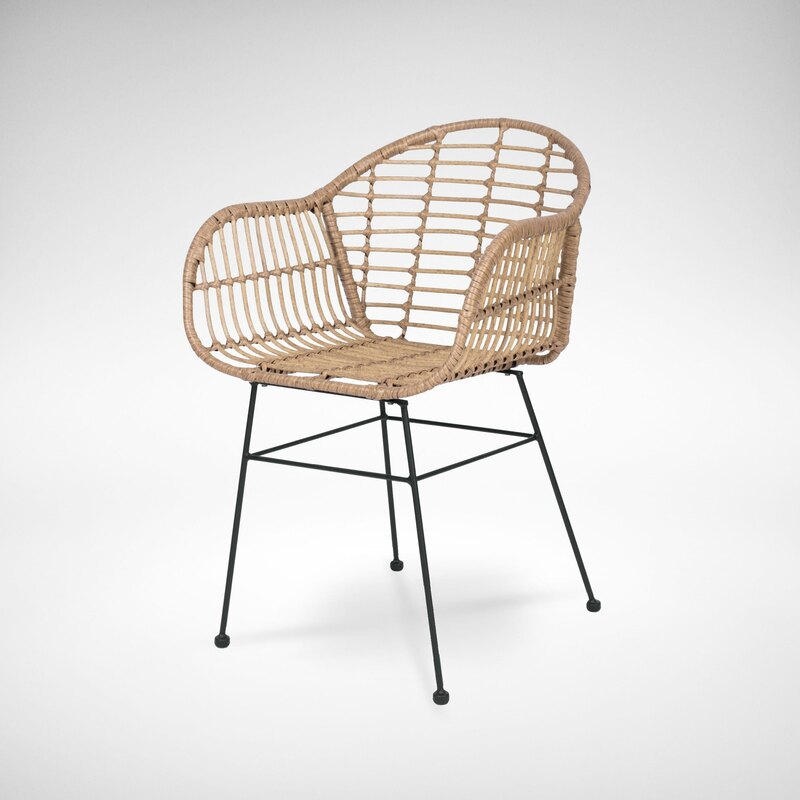 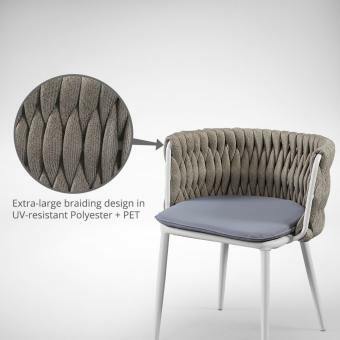 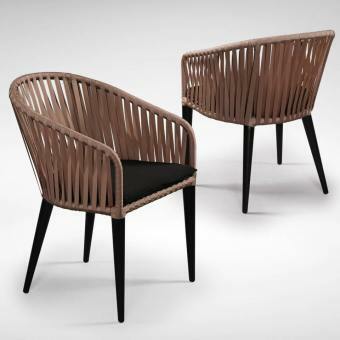 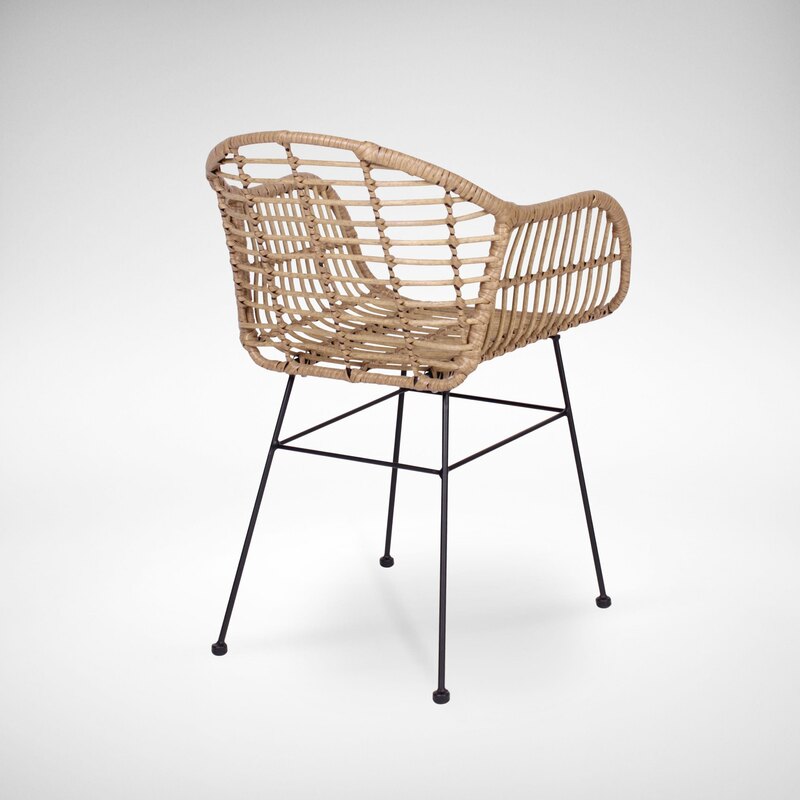 A modern looking arm chair with woven synthetic rattan seat. 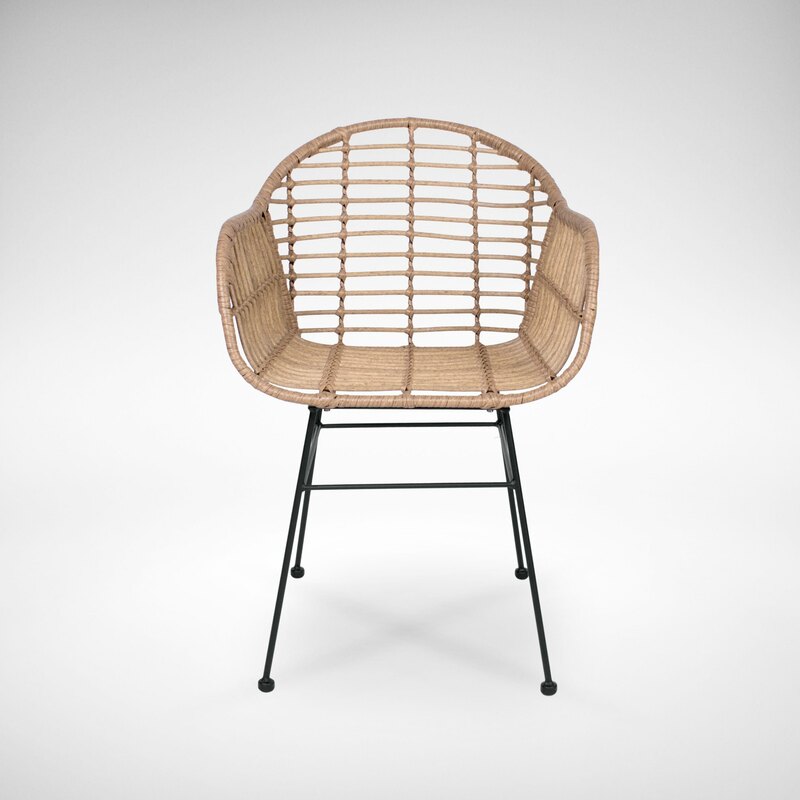 We love the colour of this chair as its hue reminds us of many nature elements like mud and twigs. 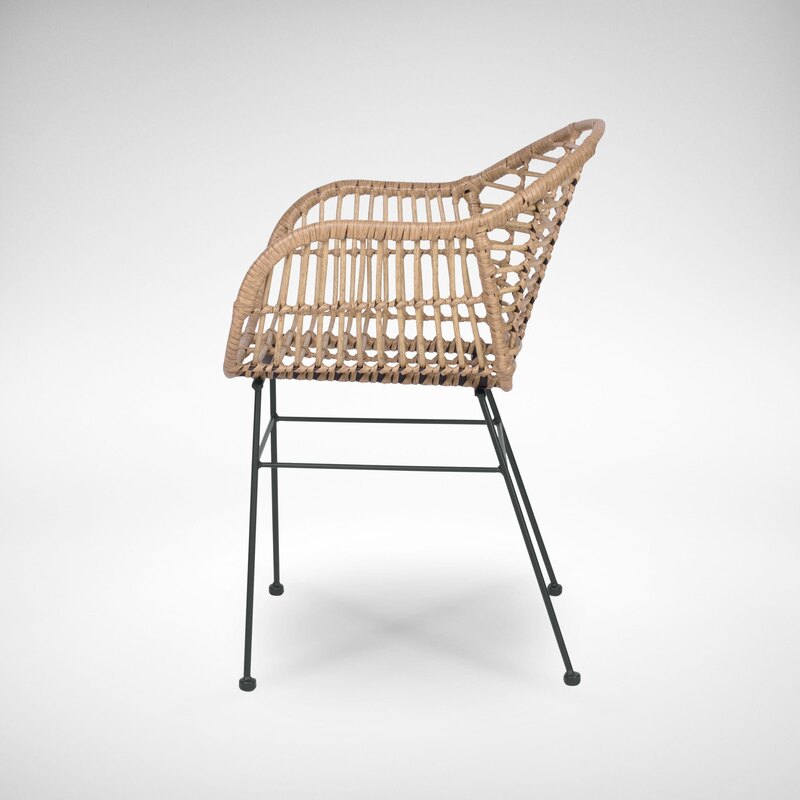 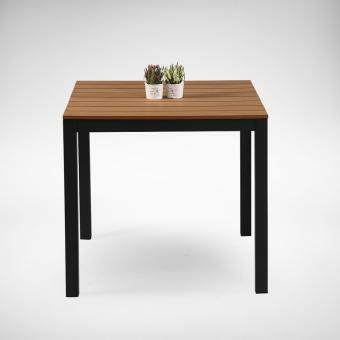 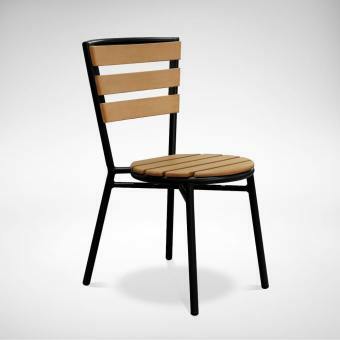 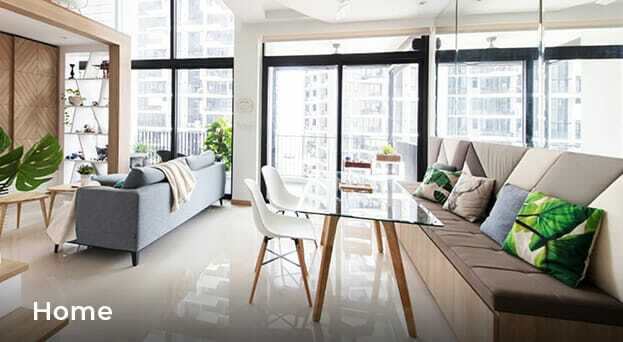 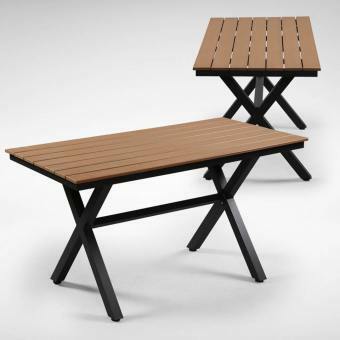 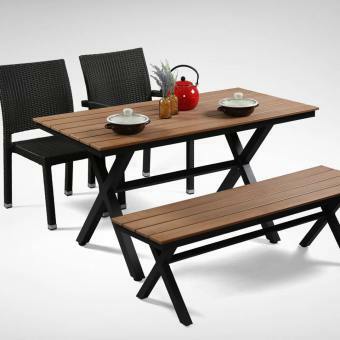 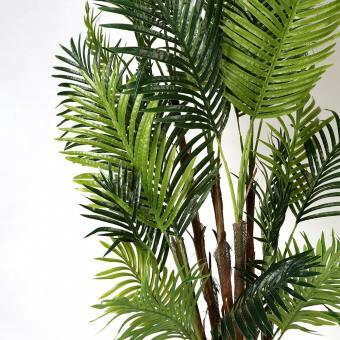 This petite arm chair fits well in your dining room, reading corner as well as your sheltered balcony (avoid rain).